Success! Sok Lao from Cambodia raised $781 to fund a hip replacement. Sok Lao's treatment was fully funded on February 20, 2017. Sok Lao underwent a successful hip replacement. Following his procedure, he had one week of physiotherapy. His wound has healed nicely, and he does not experience any pain. Sok Lao is now able to walk more easily than before. Sok Lao is a 42-year-old man with one son and one daughter. In his free time, he likes to listen to music, watch the Khmer channel on TV, and read newspapers. 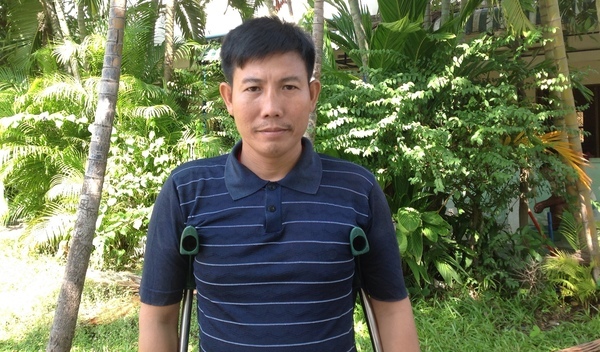 On December 28, Sok Lao fell from his house and fractured his left hip. He went to a hospital in Phnom Penh for treatment, but his symptoms did not improve. It became difficult for Sok Lao to walk, and he was experiencing pain in his left hip. Sok Lao traveled for three hours to seek treatment at our medical partner, Children’s Surgical Centre (CSC). On January 3, surgeons at CSC performed a total hip replacement surgery on Sok Lao’s left side. After recovery, he should be able to walk easily again. CSC is requesting $781 to fund this procedure. Sok Lao's case was submitted by Lindsay Bownik at Children's Surgical Centre in Cambodia. Sok Lao was submitted by Lindsay Bownik, Stakeholder Relations Officer at Children's Surgical Centre, our medical partner in Cambodia. Sok Lao received treatment at Kien Khleang National Rehabilitation Centre. Medical partners often provide care to patients accepted by Watsi before those patients are fully funded, operating under the guarantee that the cost of care will be paid for by donors. Sok Lao's profile was published to start raising funds. 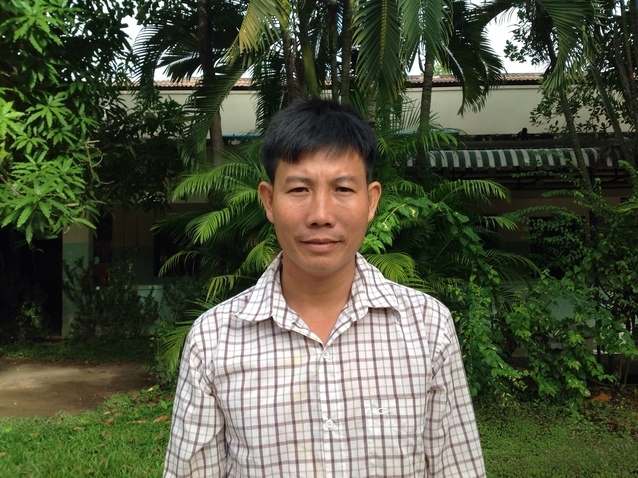 Sok Lao's treatment was fully funded. Sok Lao's treatment was successful. Read the update.